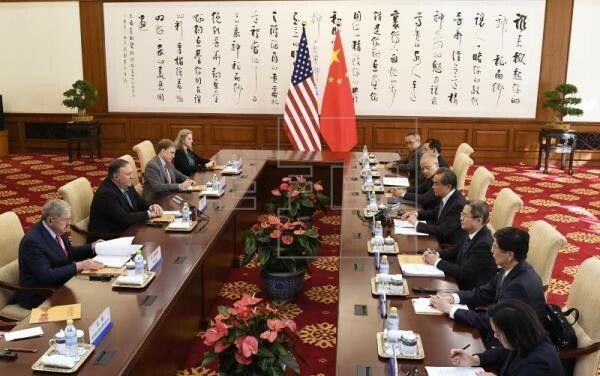 (VOVWORLD) - US and Chinese officials have reaffirmed their will to work toward denuclearization on the Korean peninsula. At their meetings in Beijing on Monday, US Secretary of State Mike Pompeo, Chinese State Councilor Yang Jiechi, and Foreign Minister Wang Yi agreed to maintain pressure on North Korea and promised a bright future for North Korea if it gives up its nuclear program quickly. Before China, Pompeo visited Japan, North Korea, and South Korea.